Oklahoma State University (1968) - B.A. Southern Illinois University - M.B.A.
Oklahoma University (1974) - J.D. Samuel A. Harding received a B.A. degree from Oklahoma State University in 1968. He then served in the United States Air Force as a pilot from 1968 until 1972. He served a tour in Vietnam from 1968-1969 and received the Distinguished Flying Cross. While serving in the United States Air Force, he received an M.B.A. degree from Southern Illinois University. After receiving an honorable discharge from the United States Air Force, he attended Oklahoma University and received a Juris Doctorate degree in 1974. In 1975, he was admitted to practice Law in the State of Nevada. 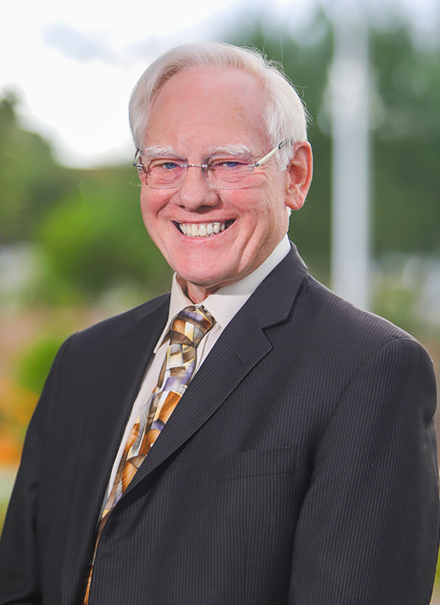 Since 1975, Mr. Harding has practiced in the area of personal injury litigation in Nevada. He has represented clients in personal injury cases including but not limited to wrongful death cases, brain injury cases, product liability cases, automobile accident cases, aircraft crash cases, dog bite cases, slip and fall cases, medical malpractice cases and defamation cases. Mr. Harding is a member of the Nevada Trial Lawyers Association and the American Bar Association. He has been lead trial counsel in over one hundred jury trials. Mr. Harding is a member of ABOTA (American Board of Trial Advocacy). Mr. Harding is an AV rated attorney in Martindale-Hubble, the most respected national attorney rating directory. This is the highest possible legal ability rating (A) and general ethical standard (V) rating. He is also admitted to practice law before the U.S. District Court in Nevada and the Ninth Circuit. He served on the Nevada Medical Malpractice screening panel and continues to be a speaker at continuing legal education courses in Nevada regarding Trial Presentation and Personal Injury Litigation. During his career, Mr. Harding has focused on Personal Injury litigation. While Mr. Harding was a former insurance defense attorney, he now limits his practice to the representation of injured parties. His past experience as an insurance defense attorney gives him extensive knowledge as to how insurance companies operate which helps him resolve cases to the benefit of his clients. Mr. Harding continues to offer his services to attorneys who desire to associate experienced trial counsel to assist in the trial presentation of serious personal injury case.